Following on from my post on How to Get Rid of Mild Acne, this post delves on how to treat the more extensive 'Moderate' acne. While mild acne is characterised by blackheads and whiteheads, moderate acne has more inflammatory lesions - small papules and pustules on the face and a few spots on the chest and back. 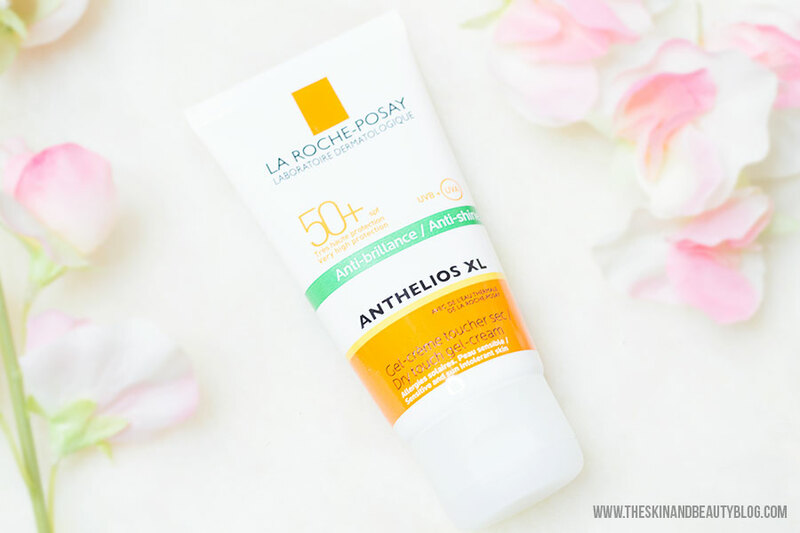 In this case, as well as the use of maintenance topical retinoids and spot treatment with benzoyl peroxide, antibiotic lotions and creams and hormonal therapies can be considered. These are available on prescription. Following on from my post on What is Acne Vulgaris and What Causes Acne? this post is to dispel some myths about causes of acne and to provide ways to how prevent unwanted breakouts. There is very little evidence that frequent face washing helps solve acne. The central 'blackness' in blackheads is not dirt but rather it is oxidized melanin, a natural pigment-forming substance in the skin. Intense cleansing might result in skin irritation, which worsens active lesions and makes your skin more prone to side effects of acne treatments. Basic care with washing your face twice a day and using a moisturiser that doesn't contribute to comedone formation is recommended (look for the word 'noncomedogenic' in your skincare). Avoid using scrubs and harsh cleansing on inflammatory spots. While myths about food triggers have already been largely dispelled, there are some reports of food influences on acne. They suggest that acne breakouts are linked to diets that are high in dairy and sugars (perhaps there was some truth into chocolate as a cause!). There is also a substantial dose dependent relationship between smoking and acne severity. Stay tuned for my next post on How to Get Rid of Acne! 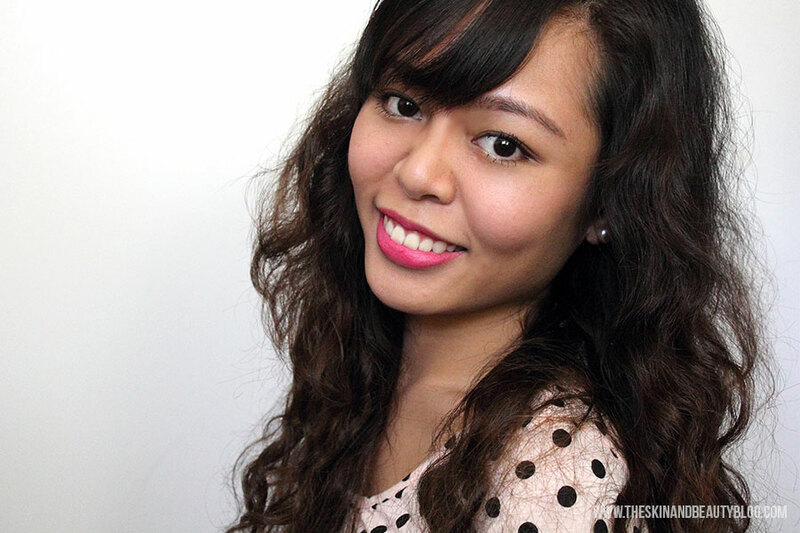 Acne 101: How to Prevent Acne and Dispelling myths! Following on from my last post Acne 101: What is Acne? this post hopefully enlightens you about the key processes involved in the development of acne, which are all targets for treatment. This leads to the development of acne precursor lesion - the microcomedone. These are not visible to the naked eye but evolve into larger more visible lesions. An increase in androgen hormones promotes sebum production that block the hair follicles and fill them with fat-rich material and form closed and open comedones (white heads and black heads). The sebum stuck in the hair follicles acts as food for bacterial growth, leading to P. acnes proliferation. P. acnes releases chemical signals that promote inflammation that is spread by the burst of the comedones into the nearby skin. This inflammation causes thhe formation of acne papules, pustules, nodules and cysts. In treating acne, all these four processes should be targetted depending on the severity of acne and the types of lesions acne-sufferers have. Stay tuned for my next post on How to Prevent Acne! 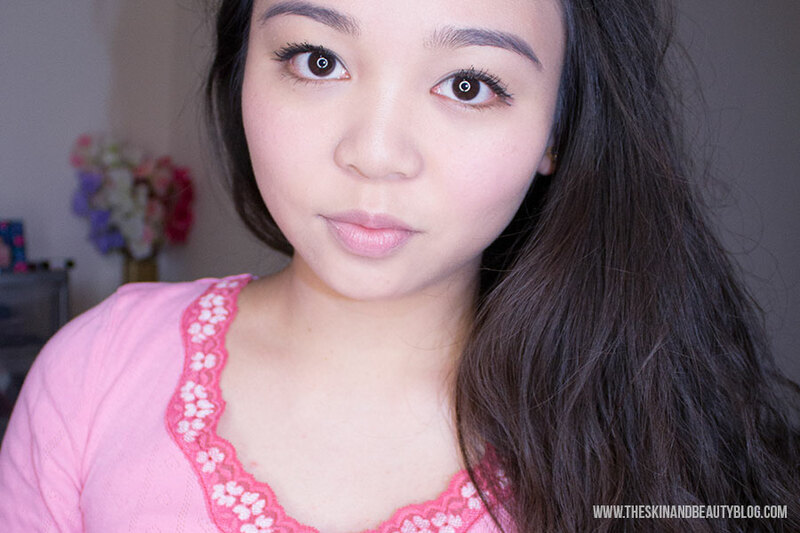 This week my face has been sporting peach: peach cheeks, peach lips, peach highlighter. This colour is quite versatile for work and play and works well with the rising temperatures... but in truth I was really feeling a little girly this week and this just did the trick! Which look are you going for this summer? Pretty pastels or bolds and brights? Whichever style you opt to rock, 2true has it covered with the NEW Fast Dry Colour Quick Nail Polishes. These surprisingly long lasting polishes dry quickly and give you excellent colour coverage with an intense gloss finish. Pick from a dozen new colours to create the ultimate new summer nail wardrobe. Have you tried the UK's No.1 Best Selling Face Primer? 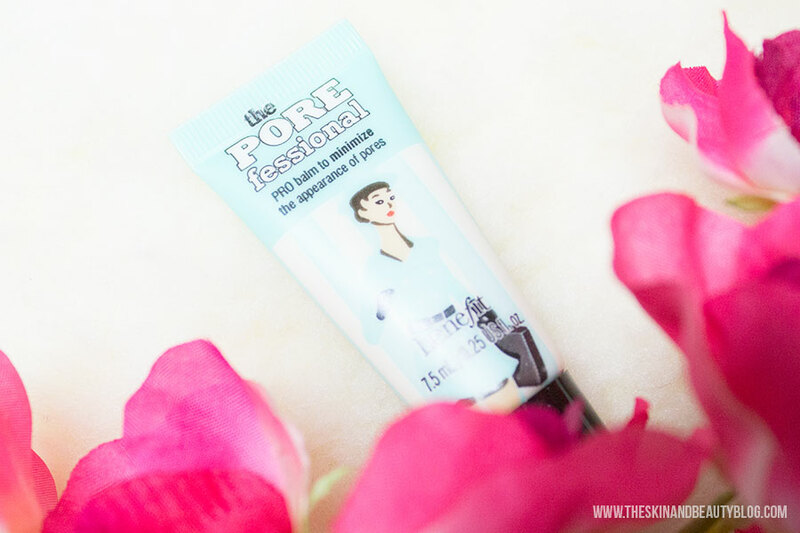 I've picked up few little sample tubes of this primer before thinking of purchasing the full size and here are my thoughts on Benefit's The Porefessional so far. 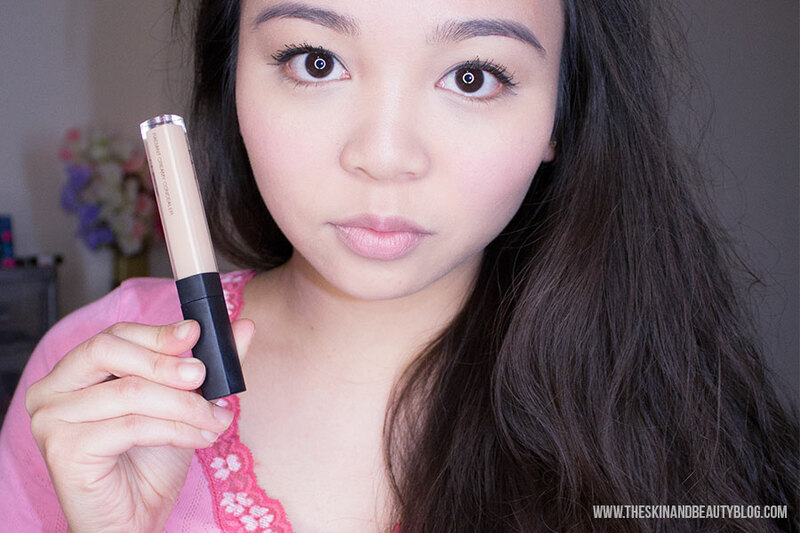 MAC Pro Longwear Concealer is one incredible concealer. It does what it says on the tin. If I anticipate a long day ahead, in the summertime, needing full coverage for spots/scars/bad undereye circles, I use this product. It is great to conceal spots on the torso as well to reveal a flawless decolletage. 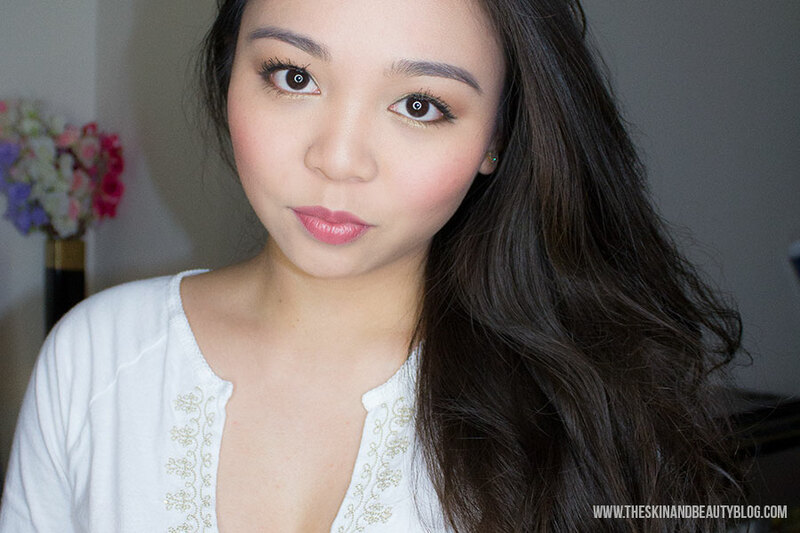 We have been lucky with the weather this week, the sun finally decided to show up and reminded us that summer is here (or maybe it's another tease) but anyhow my makeup choices have been to match the bright weather with a glowy complexion. 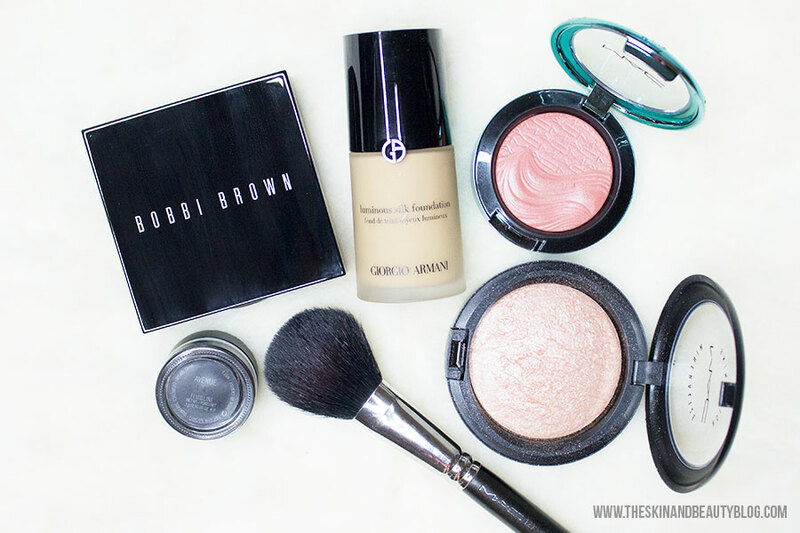 These products have made it to my makeup kit this week. Let's get started! 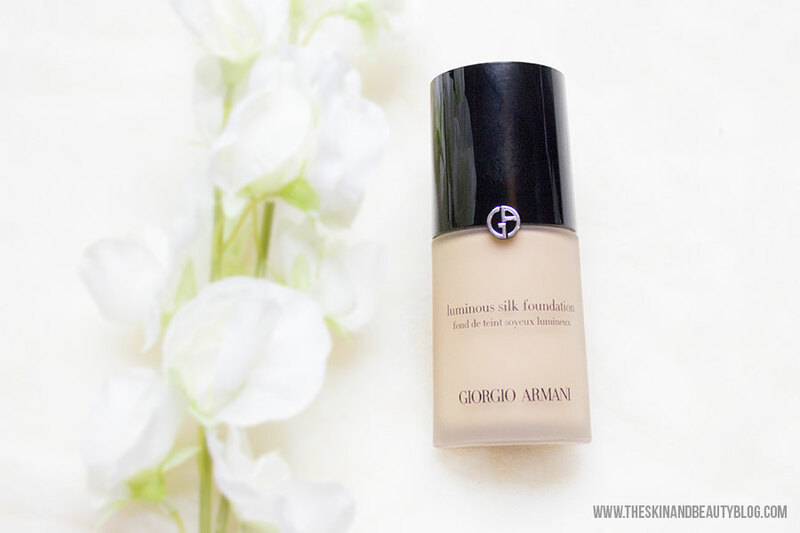 Giorgio Armani Luminous Silk Foundation is my foundation pick for when I want to look glowy and yet natural for everyday use. It is great for good-skin days. Hey everyone! 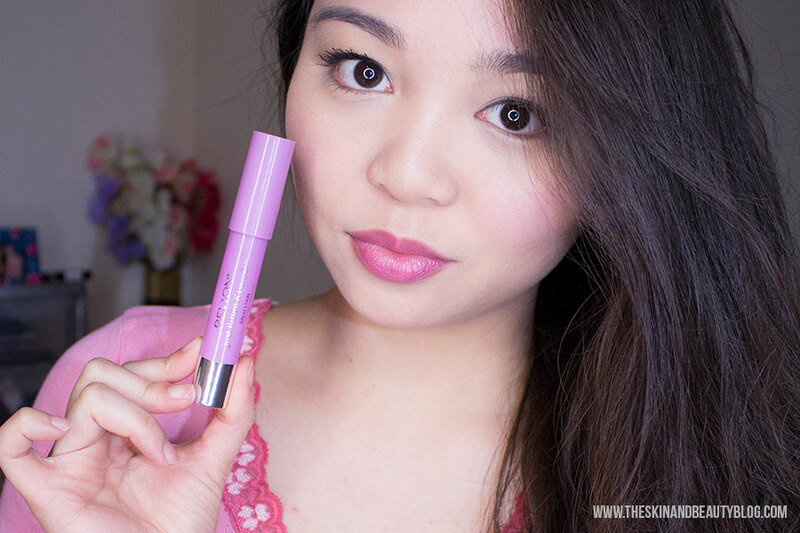 In an attempt to search for the perfect purple lip color, I've tried so many combinations of my Sleek Pout Paints in 163 (Electric Blue) and 154 (Hot Pink). Needless to say, I ended up with this cute and unique pattern. 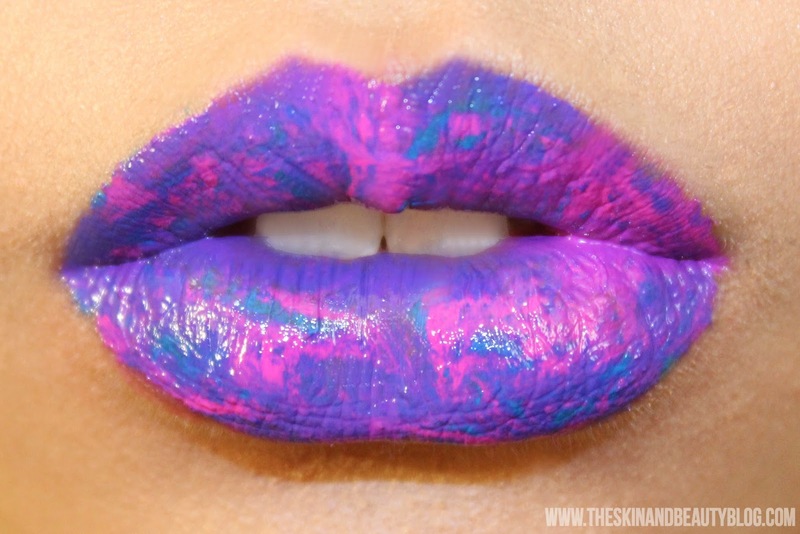 It kind of reminds me of one of my favorite childhood candies, Wonka's Nerds. Dear everyone, we are going global! 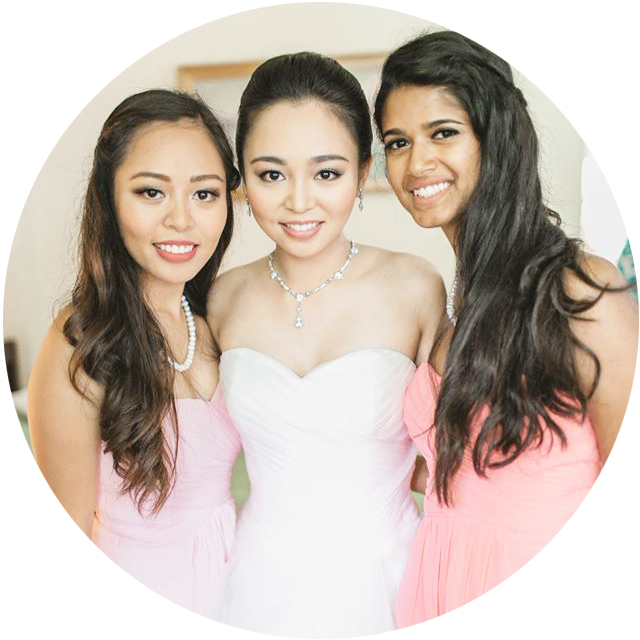 I am very excited to introduce you to a new USA-based beauty writer on The Skin and Beauty Blog. Her name is Shannon. 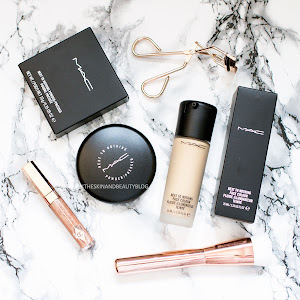 You may have seen her initial guest post on What's In Her Make Up Bag and from now on you'll be seeing her posts more frequently. She is based in sunny California, a young and creative mind brimmed full of ideas. She is a lover of makeup, an adorer of beauty, a sweet and clever lady with killer cheekbones, she is my sister! ...And yes... from the same mister! 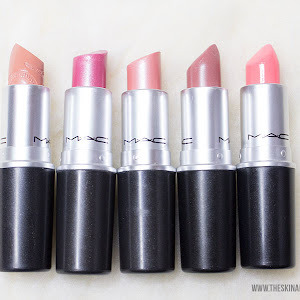 Believe it or not, it was MAC Lustre Lipsticks that first got me into the MAC bandwagon (not mattes not amplified cremes!). 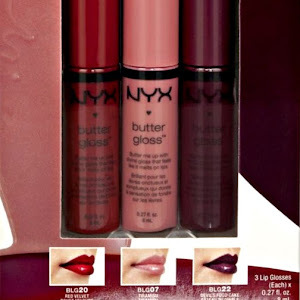 I remember almost a decade ago, my dad bought me one of my first ever lustre lipsticks that was MAC Plink! Lipstick and I never turned back since. Lustres are still one of my favourite MAC Lipstick finishes - they glide on like butter and look like gloss! 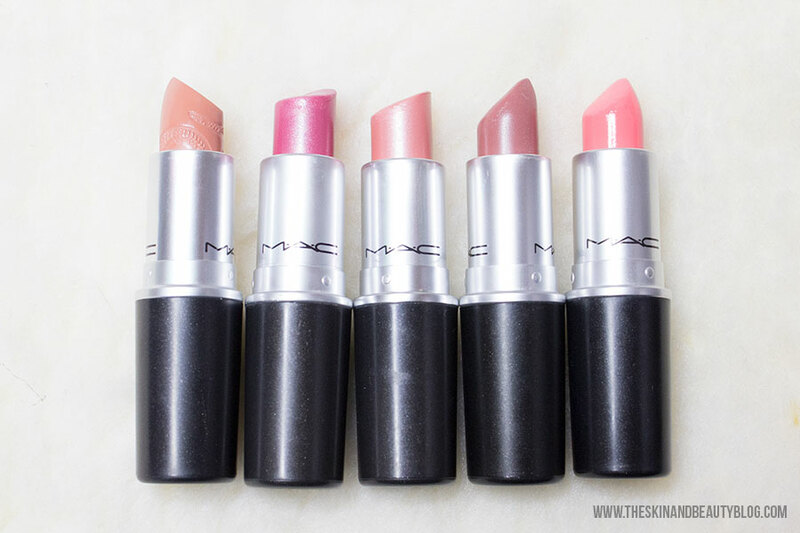 I would like to take this time to share my top five MAC Lustre lipsticks with you. Let's get started! I really could not help myself could I? In another life I swear I was a magpie. I am utterly magnetized by shiny objects. I picked up a few more products from the MAC Alluring Aquatic Collection -- you can see my first haul here. 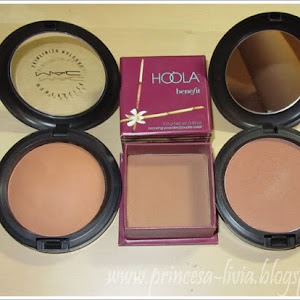 This time I picked up a couple eyeshadows, another lipstick and blush. Let's get started! MAC Alluring Aquatic Collection Haul, Reviews, Swatches Part 2! Does your makeup bag need an update? "What makeup should I buy?" Makeup isn’t cheap, especially good quality ones. Through the process of building one’s kit, we waste a lot of hard earned cash on trial and error, but what if there was a recommended list of products we should check out first? 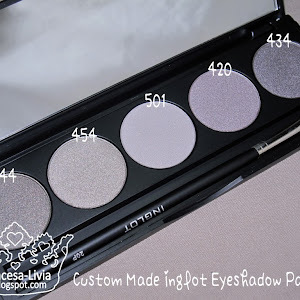 After perusing the makeup bags of several of my good friends while doing their makeup, I realized that a lot of us need help out there to build their initial makeup kits and that is what this post is going to be about. 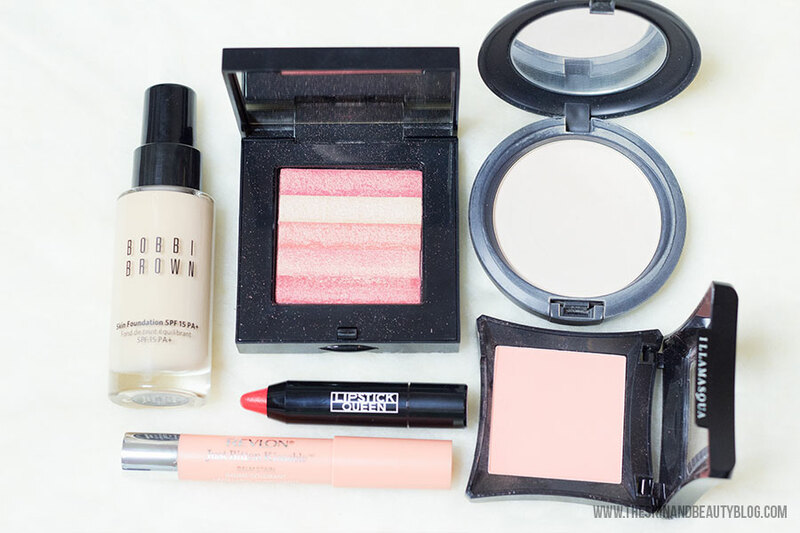 This post is also useful for those with established makeup bags looking to try new makeup. 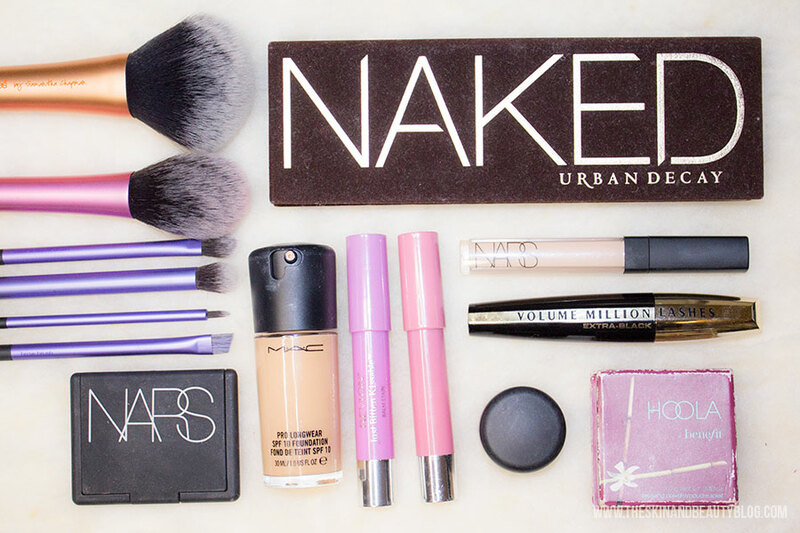 Welcome to my guide to building your perfect personal makeup kit. 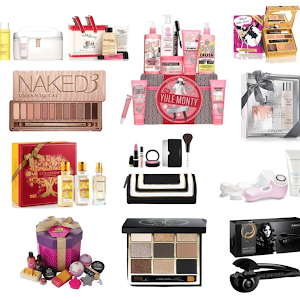 The Beginner's Guide to the Perfect Makeup Starter Kit! 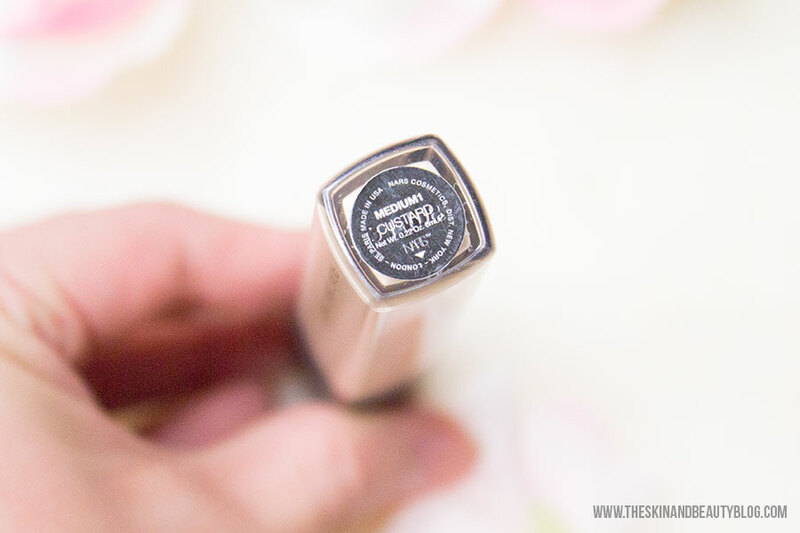 Having loved the original Revlon Balm Stains and also a fan of mattes, I picked up a few colours of the Revlon Matte Balms. 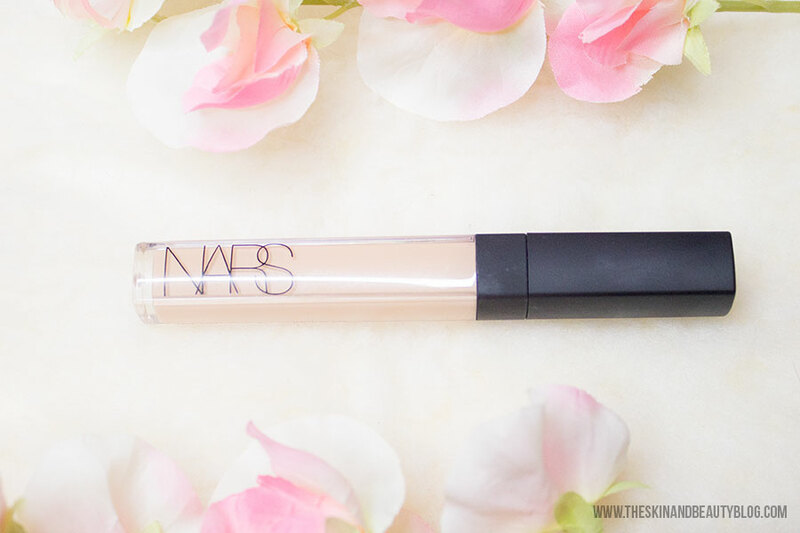 The formula is very creamy and glides on very well. Because its a matte, it can be a bit drying so you should make sure you prep your lips with some lip balm prior to applying this. You get amazing pigmented full coverage with the first swipe. 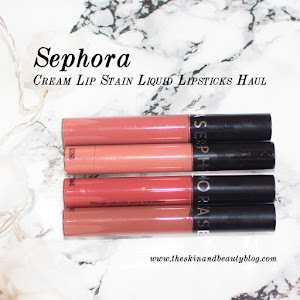 It dries matte while feeling comfortable and does not feather or get patchy. 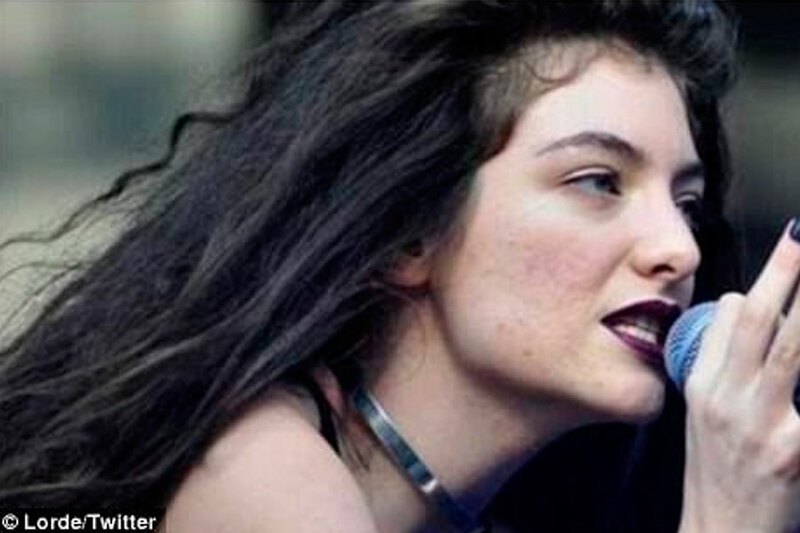 It can emphasize some lip lines though. It lasts about 3 hours. They have the same minty scent that the original balm stains had. For photos and reviews of my matte balm collection, keep reading! 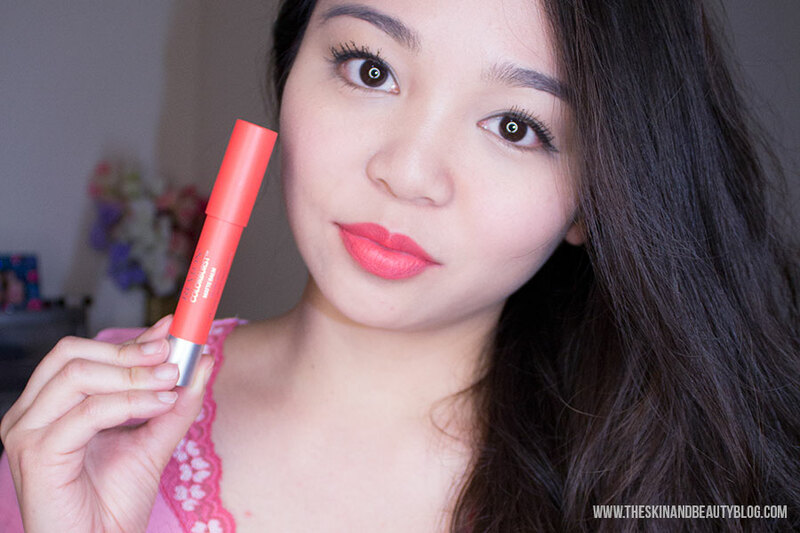 Revlon Matte Balm Swatches Audacious, Elusive, Sultry and Standout! 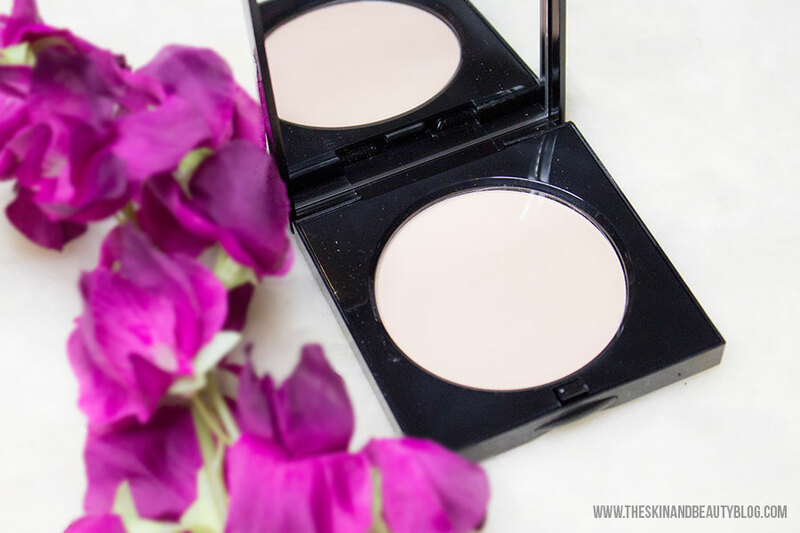 Are you keen to try a light-wearing water-based foundation that leaves a natural dew? 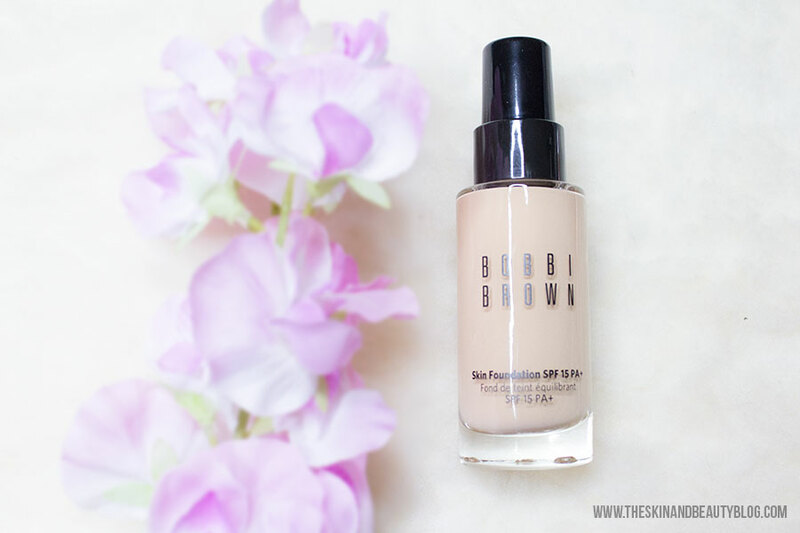 Bobbi Brown Skin Foundation is an award-winning foundation that claims to provide invisible, weightless coverage that looks like skin. 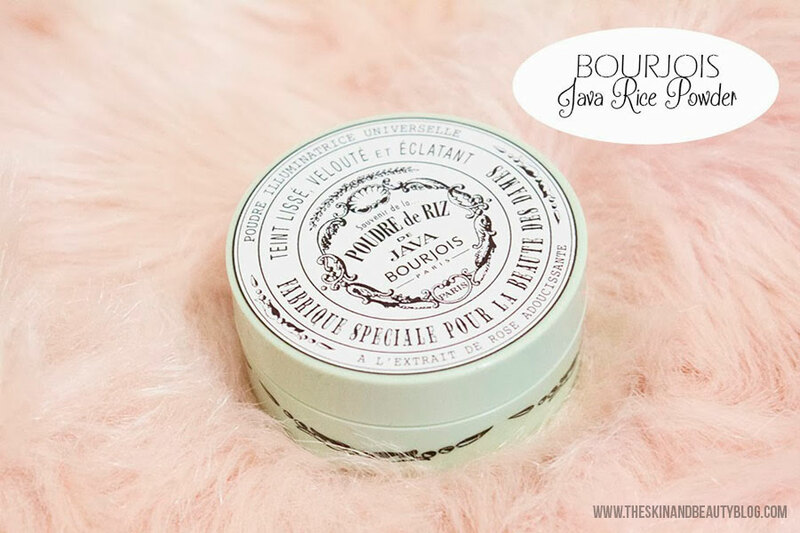 It has won several awards including the Beauty Bible Anti-Ageing Award 2013, Foundation for makeup phobics and made it to The Guardian Best Beauty Buys 2013. That's a pretty good resume, but does it deliver? Let's see! 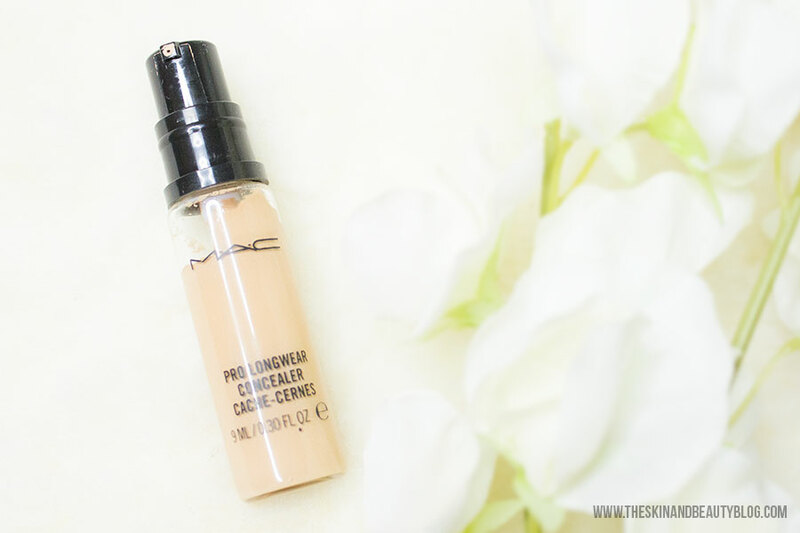 It is quite refreshing to find a product that does what it says on the tin, and that list would include MAC Pro Longwear Foundation - it actually does long wear. This is my first line foundation for long 13 hour shifts, hot humid environments, special occasions with albums of photo taking, times when I want my look to last all day. I've worn this to weddings, to the mountains, and even to the beach - its that heavy duty! 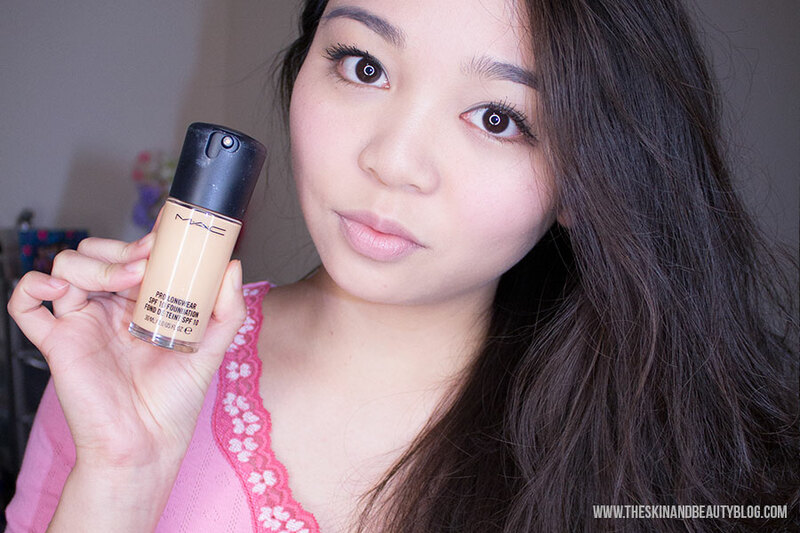 MAC Pro Longwear Foundation Review - A Force to be Reckoned with! 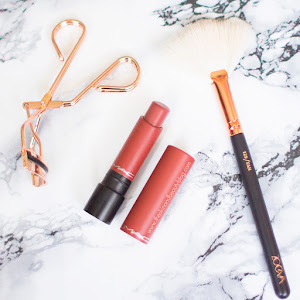 Easily one of the sweetest beauty gurus in YouTube, makeup artist Tanya Burr has released an equally sweet line of lip glosses with Eye Candy. I have two contrasting shades here, a super pretty yellow based baby pink in Afternoon Tea and an almost fluorescent hot pink called Exotic Island. They both have candy sweet scents that I neither love nor hate, but some others may have stronger feelings about this. Both of these colours have cream finishes (no glitter flecks in sight!) which is a plus in my book. On first application, they seem a bit sticky that's just a tad mellower compared to the MAC Lipglasses, but once on they somehow lose the tackiness that makes me appreciate them more. The colours are brilliant and I'm warming up to the stickiness a little bit. Of course this is something I will perhaps avoid on the windy weather unless I've got my hair up - see more windy weather tips here. Swatches below -- Can you tell which one I like better? 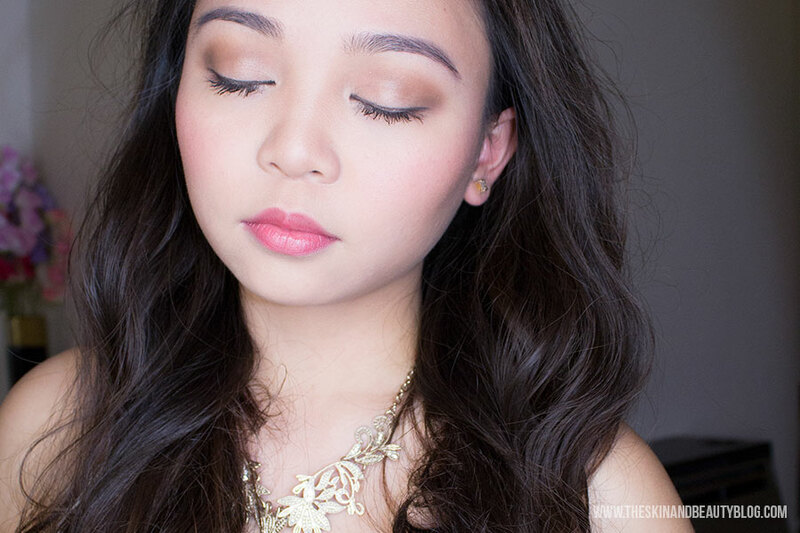 There are some gorgeous wearable everyday colours at the MAC Alluring Aquatic Collection and I'm pleased to share with you a rose-toned makeup look I created using the products I purchased from the said collection. Let's get started! 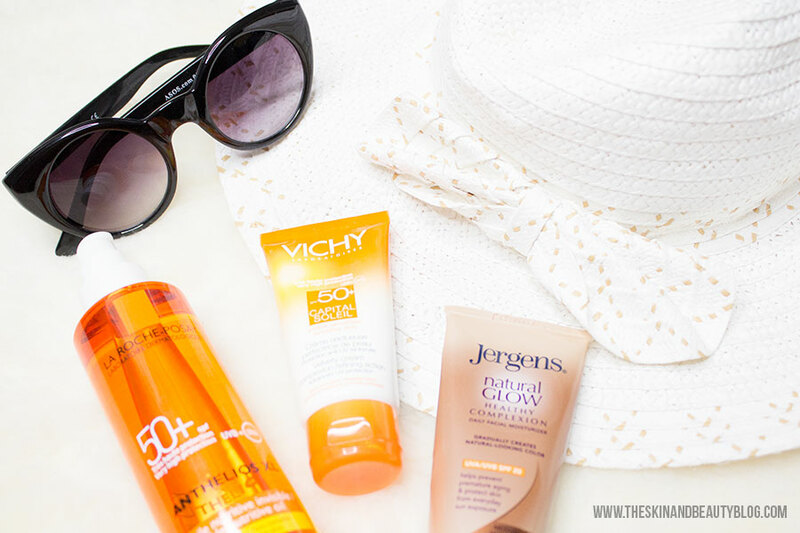 The heat, sweat and flaky skin - these are skin signs of impending summer. What you need is an energising refreshing treat and a good body scrub to remove all that sweat and grime. Enter Champneys Energising Lime Body Scrub! 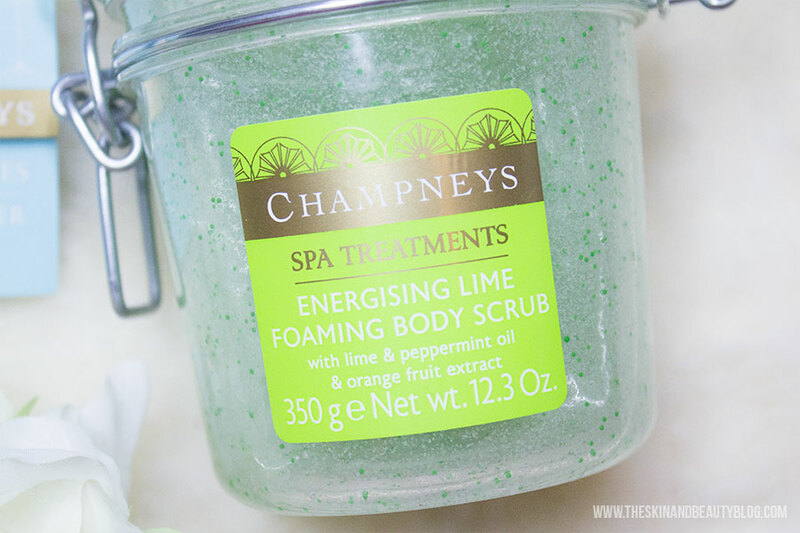 Treat Yourself with Champneys Spa Energising Lime Body Scrub! 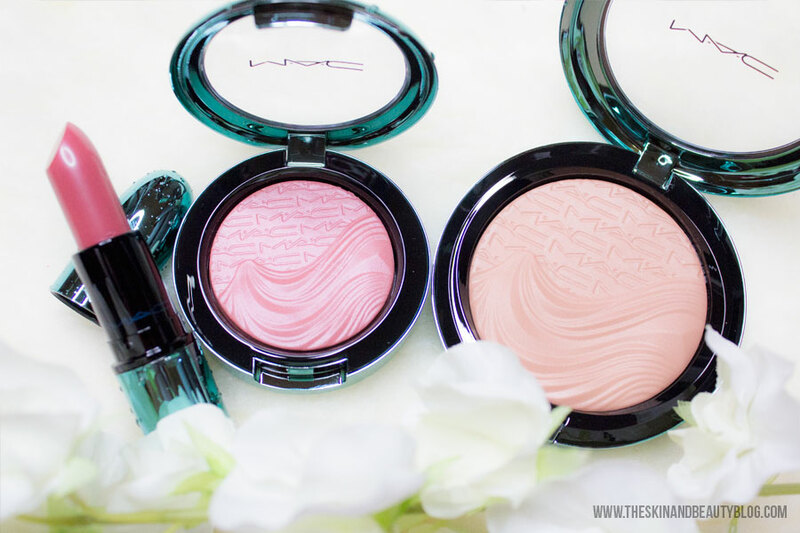 I had a quick look at the MAC Alluring Aquatic Collection and its beautiful. 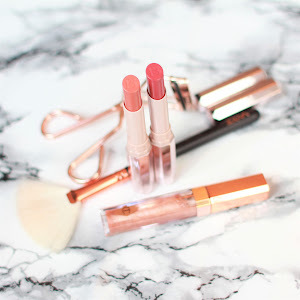 The packaging is stunning, the blushes are satiny with pretty sheens, the eyeshadows are beautiful and lipsticks quite wearable shades. I picked out a few products to complement the rest of my collection. Here is my first haul, snippets of reviews and swatches. Lets get started! 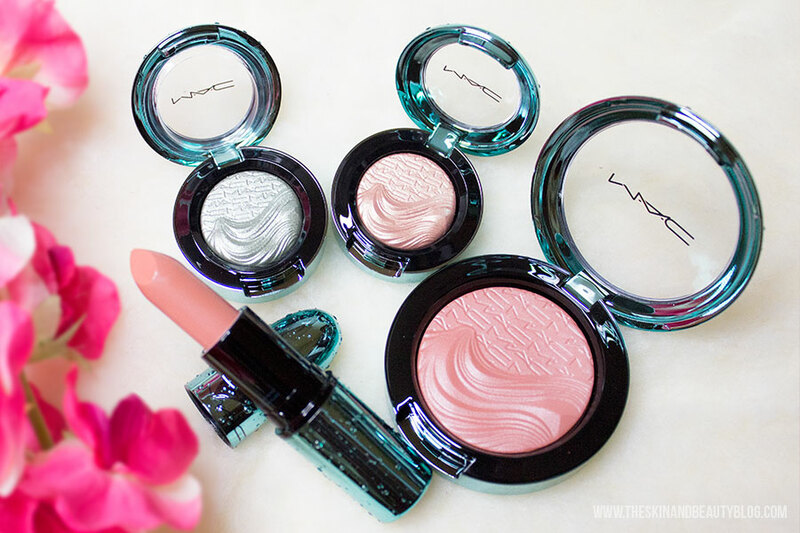 MAC Alluring Aquatic Collection Haul, Review, Swatches!